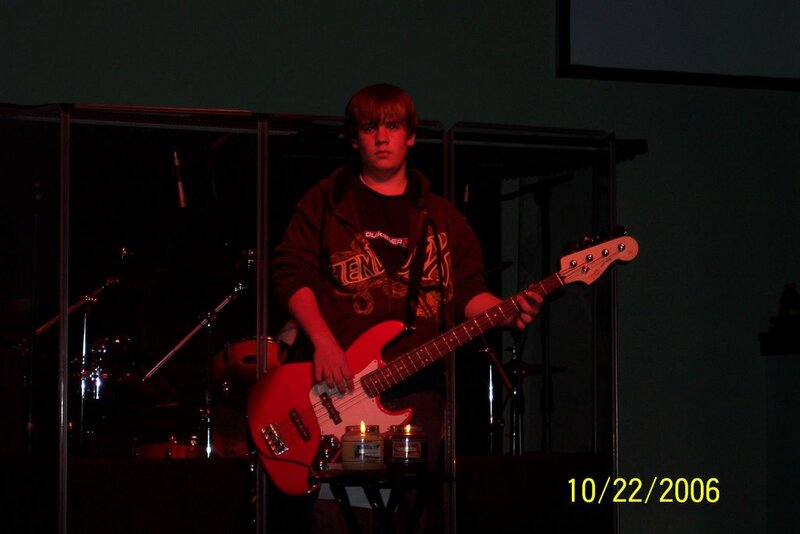 This, apparently, is what a cool bass player looks like. You can’t tell, but his sweatshirt says “Hendrix” on it. I think there may be some unwritten rule that if you play electric guitar you must own one bit of clothing which pays homage to Jimi. 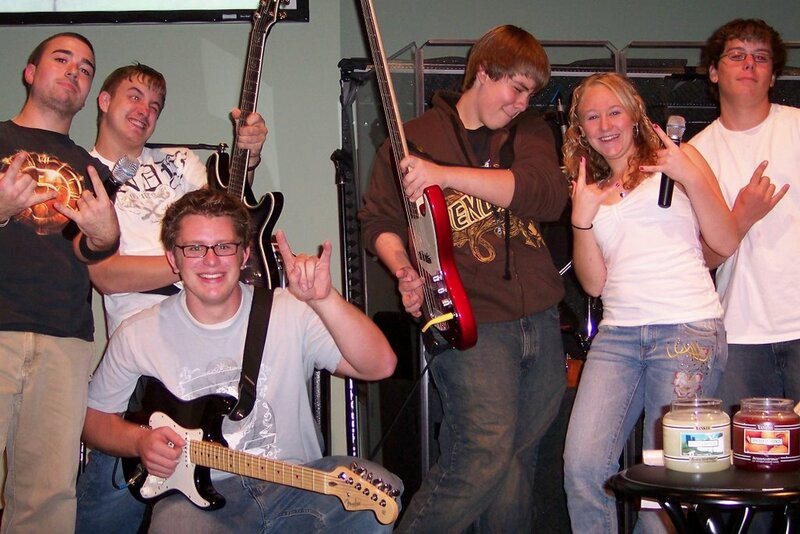 And this would be the band in its entirety. As you can see, they have a good time. On another note, I’m still making my way through Eragon. Reading and blogging will be spotty at best this week as I’ve got company. So until the next time, ROCK ON! Very cool, Jen!! Maybe someday you’ll be able to share a bit of their music with us? Pilot Man would know how to do it . . . something about a wav file or such. My 15 year old nephew is also in a band, although I’ve never heard them play. He plays guitar also, although I’m not sure what type (I’m so lame, I know). Have fun with your guests and getting through Eragon! !Hugs,Jennifer, who, by the way, went to her very first air show this weekend — AWESOME! !